Fall is just around the corner...and that means apples around here. 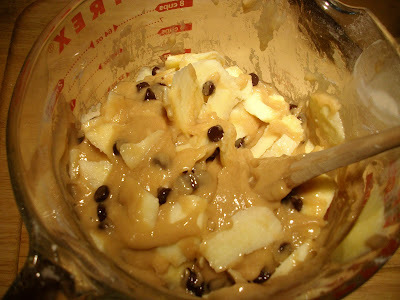 If you have 2-3 apples, some chocolate chips and your basic pantry staples...you are good to go for this recipe. With wooden spoon, add flour mixture to wet mixture. It will be very thick! Spoon into greased bundt pan. Bake at 325* for 1 hour. Enjoy!! The only extra tid bit of info I have is...I tried frosting this cake in different ways. I've tried traditional frosting, chocolate ganache, icing, glaze etc, but my family just likes it plain. Try it plain first, then you decide. This next recipe is fast and easy and great for parties. 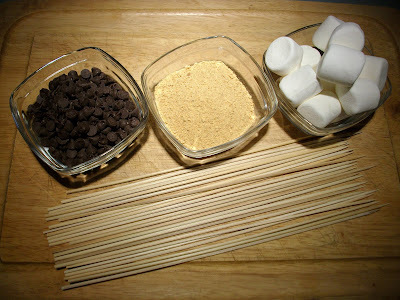 This is all you need for this treat: chocolate chips, graham cracker crumbs, marshmallows and skewers. 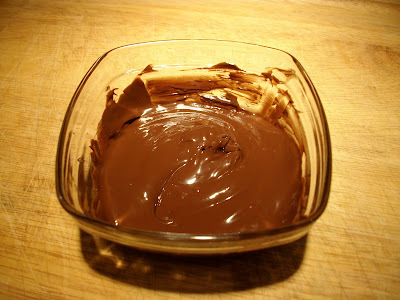 Melt chocolate chips in the microwave. I used 50% power for a minute or so. Then roll in graham cracker crumbs. 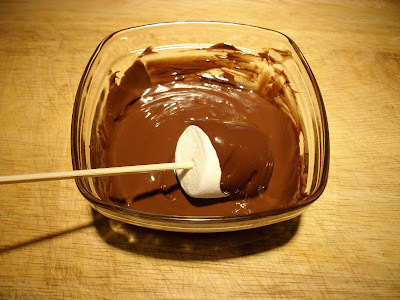 Refrigerate to harden chocolate, then enjoy the chilly version of the melted smores. 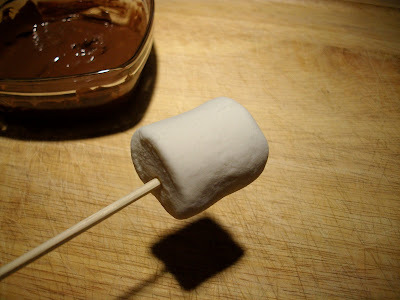 If you like the melty kind of smores without the campfire...I make these all summer for the girls and all their friends. On a cookie sheet, place desired number of graham cracker squares. On each cracker, place a square of a Hershey's chocolate bar and then a marshmallow (on it flat side). 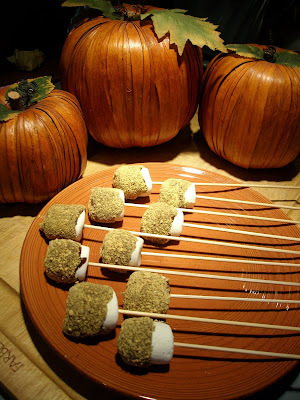 Bake in a 350* oven for about 5-8 minutes or until the marshmallow starts to puff. Keep an eye on them all the time. When they look puffy enough, remove from oven and place another square of graham cracker on each one. Push down slightly until you see the marshmallow ooze a little. I know not the best directions with words like puffy and ooze and no pictures either, but give it a try anyway...they are fast, yummy and no marshmallows bursting into flames over the open campfire. oh your apple cake looks and sounds so yummy, and then I saw the smores, temptation at it's best....., and the chipmunk (previous post)id kinda real cute! Mmm....your apple cake does look rather delish! 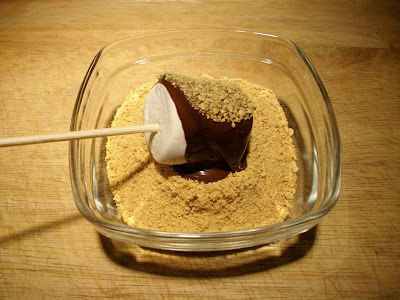 and the smores would make great party food. Thanks for the recipes. Both the cake and smores look yummy.. Your descriptives of puffy and oozing are words I understand!! :-) Thank you for sharing these wonderful recipes!! I shall be attempting the apple and chocolate cake this week - it looks divine! Can you please advise me if Graham biscuits are sweet? Would any crushed up sweet biscuit suffice? my grandmother used to always make apple chocolate chip cake! I think I need to buy a bundt pan and try making it myself! Excellent! I'll let you know this afternoon how it turns out. YUM! 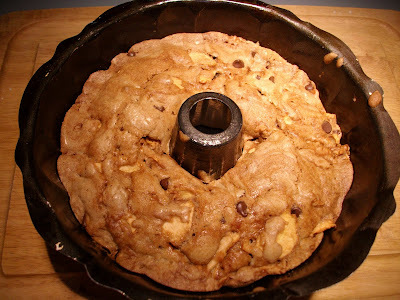 That chocolate chip apple cake looks like something that I should make today! Thanks for sharing! Oh my, it looks so yummy! I only wish you had done this before I had to quit eating suger and chocolate and everything sweet and nice and unot good for me. Hmmm, when's dinner; I got hungry? I make marshmallow smores in in microwave. I have to try the crunchy ones. I'm the sister (chef) Those recipes look really good. I think I'll try those today! Apple and Chocolate sounds so delicious. I'm going to have to try these! Thanks! Oh dear, I can feel the pounds gathering around my middle now! But what fun! thanks! Thanks for the recipes. They look delicious. Thanks for sharing. 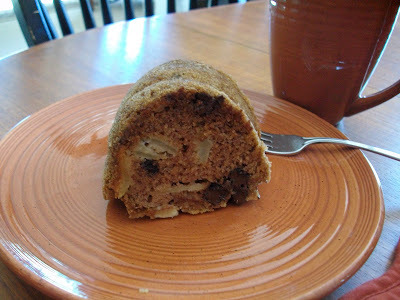 I am going to try the apple cake with Splenda, diabetic hubby. Smores on a stick! mmmm. I am going to have to try those for sure! I'm thinking of a cream cheese-cinnamon glaze for that cake (tastes great on pumpkin and isn't too sweet)--or nothing. What about swapping out the chocolate chips for Toffee chips, wouldn't that be great. Like a toffee apple cake. 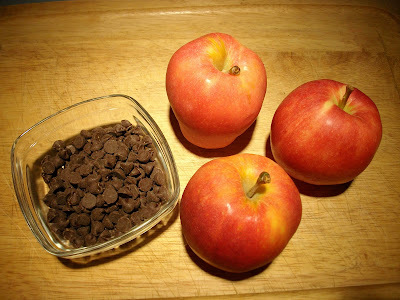 I never thought about adding chocolate chips with apples, sounds awesome, I will have to try it!! 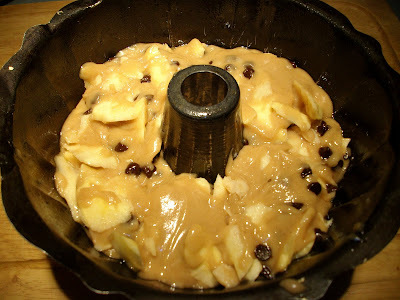 Made the apple chocolate chip yesterday. Lip smackin' good.